PT Wijaya Karya (Persero) Tbk - WIKA is a leading state-owned general construction company in Indonesia, based in Jakarta. WIKA has business focus rests on 5 business pillars: Industry, Infrastructure and Building, Energy and Industrial Plant, Realty and Property, and Investments. WIKA is a public-listed company and is majority owned by the Government of Indonesia. WIKA's shares are listed on the Indonesia Stock Exchange (IDX) since 2007 under reference code WIKA. As of December 2017, WIKA is 65.05% owned by the Government of Indonesia and 34.95% by general public and investors. WIKA was first established in 1960 and initially registered as Perusahaan Negara Bangunan Widjaja Karja (PN Widjaja Karja) with principal business in the electrical, water pipe installation. Later in 1972, PN Widjaja Karja renamed into PT Wijaya Karya. 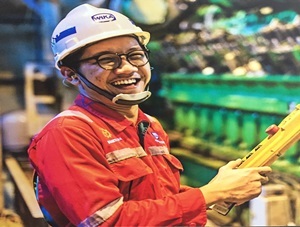 PT Wijaya Karya (Persero) Tbk now has 7 directly-owned subsidiaries, comprise of PT Wijaya Karya Rekayasa Konstruksi (90.04% owned by WIKA), PT Wijaya Karya Gedung (69.30%), PT Wijaya Karya Bitumen (99.00%), PT Wijaya Karya Serang Panimbang (80.00%), PT Wijaya Karya Beton (60.00%), PT Wijaya Karya Realty (90.88%), and PT Wijaya Karya Industri dan Konstruksi (97.22 %). In term of financial positions, PT Wijaya Karya (Persero) Tbk has recorded a good performance in 2017. WIKA registered a 67.06% growth in total net sales value of Rp26.18 trillion as compared with Rp 15.67 trillion in 2016, according to information found in PT Wijaya Karya (Persero) Tbk Annual Report 2017 as cited by JobsCDC.com. Referring to its annual report, PT Wijaya Karya (Persero) Tbk successfully recorded a total asset of Rp 45.68 trillion, with a noticeable increase of 45.70% from Rp 31.35 trillion in 2016. Mastering in computer software applications in their fields. Fluent in English (spoken and writing) and have TOEFL certificate from a Certified Institution and a minimum TOEFL equivalent value of 500. JobsCDC.com now available on android device. Download now on Google Play here. Please be aware of recruitment fraud. The entire stage of this selection process is free of charge. PT Wijaya Karya (Persero) Tbk - Program Pelatihan Calon Pegawai PPCP WIKA April 2019 will never ask for fees or upfront payments for any purposes during the recruitment process such as transportation and accommodation.